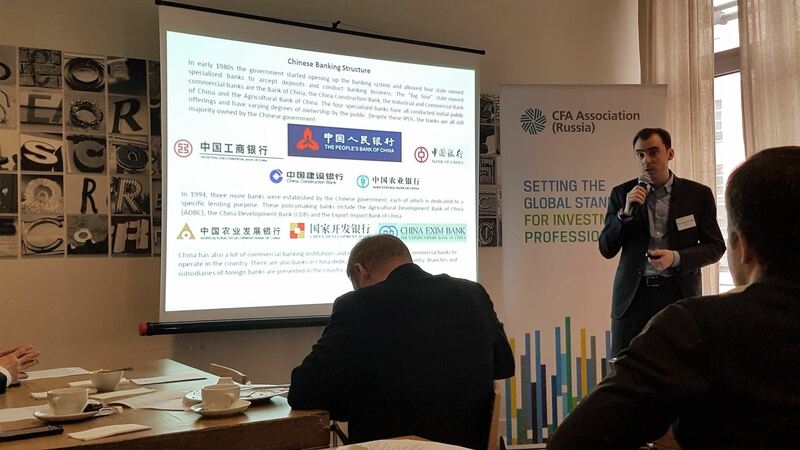 During its regular business breakfast on March 24, CFA Association Russia focused on its large neighbor to the south, the People’s Republic of China. It was a fascinating topic for many within the CFA community, especially considering that the global economic center is slowly shifting to the East. 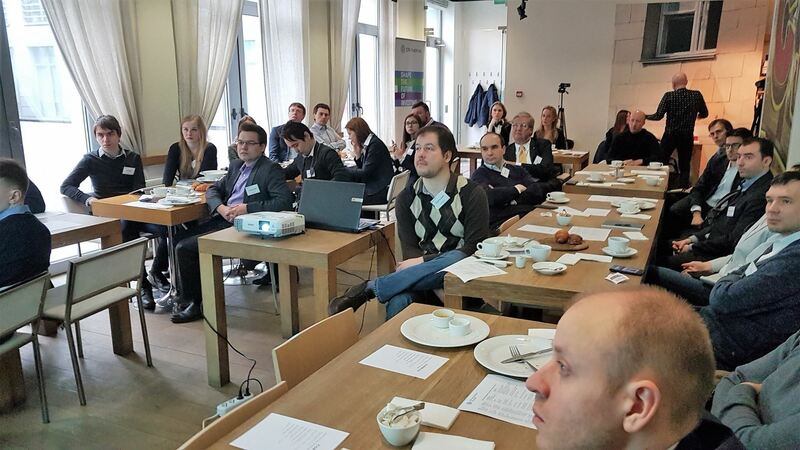 Breakfast took place at the Correa’s café and gathered around 30 financial professionals. Two guests invited to speak during the event were Eugene Fedorinov, CFA, an MBA graduate from McGill University, who spent some time studying and working in China, and Vladislav Subbota, the deputy director of the risk management department at China Construction Bank, one of the “big four” banks in China. Eugene started the event telling about the overall state of China’s economy. China became the world’s second largest economy due to an extraordinary growth over the past quarter of a century. Some experts predict that China will overtake the US economy in nominal GDP by 2018. Eugene also spoke about the cultural and business differences between China and the West. According to the speaker, one cannot successfully make business in China without knowing its culture, some of which subtle aspects can be hard for foreigners to grasp. Furthermore, Eugene focused on the real estate development in China, which according to him is one of the key sectors of the country’s economy. “Real estate is one of the bedrocks of social and economic system in China,” Eugene said, adding that for the past three decades the real estate was the most profitable business in the country. 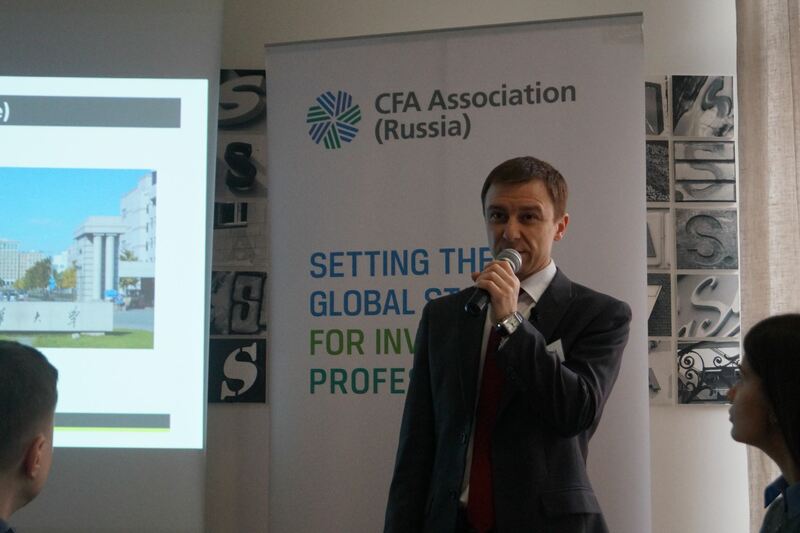 Following Eugene’s presentation, Vladislav Subbota took the floor. As an employee of one of China’s largest banks, Vladislav gave the ins and outs of China’s banking sector. When it comes to banks, China truly is a heavyweight with its banks at the top of the global list in terms of market capitalization. “Chinese banks continue to dominate the rankings based on tier 1 capital, holding the top 2 positions as well as 4 out of the top 5 places,” Vladislav said. In addition to banks, China has the third largest bond market in the world. Vladislav spoke about the so-called panda-bonds, which refer to Renminbi (RMB)-denominated bonds issued in China by foreign entities. Panda-bonds became a hot topic as of late, especially since after a long period of stagnation their value began to rise significantly in 2015. The growing economic and political significance of China is a major factor for Russia to consider. China-Russia cooperation has already started and a few high-level policy changes were made. But the question remains: where will this partnership lead in the future?